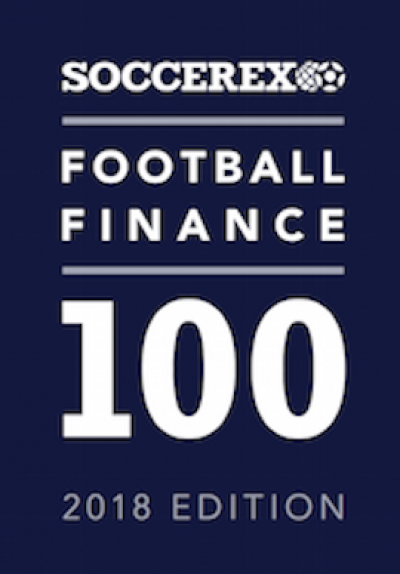 UK clubs dominate the top ten of The Soccerex Football Finance 100. Manchester City lead the global ranking while Arsenal's "sound business model" and relatively low net debt places the north London club third, with Tottenham Hotspur fifth-placed, Manchester United (seventh) and Chelsea ninth. The UK dominates the upper echelons of the rankings, with eight teams in the top 30 – three more than any other nation. The Soccerex Football Finance Index (FFI) factors in five variables – playing assets, fixed assets, money in the bank, potential owner investment and net debt - to evaluate and rank the top 100 clubs across the planet based on their finances.